Cape Fear Film & Video is holding auditions for a rehearsed public reading of Don Fried’s dramatic play Blood Privilege. The reading is a fundraising event to raise money for Cape Fear Film & Video’s production of Don’s screenplay Phoenix. Auditions: Saturday, August 4th, 9 am – 12 noon, Morning Glory Coffee House, 1415 Dawson St., Wilmington. Reading: Thursday, August 16th, 7 – 9 pm, TheatreNOW, 19 S. 10th St., Wilmington. Rehearsal: One 3-hour rehearsal, to be scheduled based on availability of the cast. 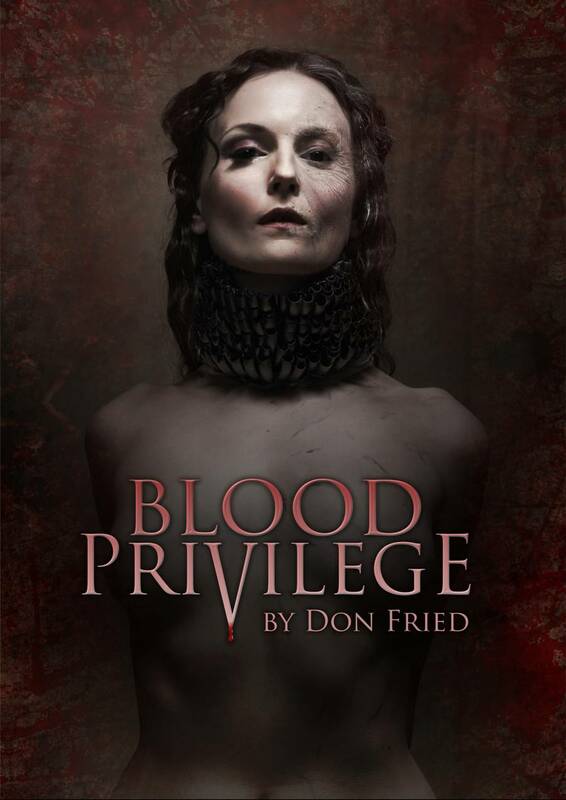 The Play: Blood Privilege tells the story of Hungarian Countess Elizabeth Bathory who, according to legend, sexually tortured and murdered over six hundred young women to bathe in their blood as part of a beauty ritual. However, she may not have committed the crimes of which she was accused and convicted. What is certain is that she lent a large sum of money to the Hungarian king and had the bad judgment to insist that he pay her back. Elizabeth Bathory: 20s-30s. Intelligent, headstrong noblewoman, obsessed with physical beauty. Katalin: 20s-30s. Young Elizabeth’s innocent governess and intimate companion. Szilva: 30s – 50s. Elizabeth’s secretary; ruthless, hard-working. Thurzo: 30s. Elizabeth’s cousin. A progressive noble, rising in the political hierarchy. King Matthias. 50s – 60s. Irresponsible royal, drunk with power and privilege. Nadasdy: 30s – 50s. Brutal, impoverished noble and soldier. Elizabeth’s husband from a forced and abusive marriage. Pataky: 30s – 60s. Chemist, physician and consultant on beauty. Above morality. Lorand Sigray: 40s – 50s. Baron and judge. Informative and knowledgeable, but rarely helpful. Andras: 20s – 30s. Prison guard. For More Information: Contact the playwright/director, Don Fried, don@fried.cc. 303-815-6164. Synopsis: Elizabeth Bathory is a beautiful young Hungarian/Slovakian noblewoman who was born during the last years of the 16th century. When her parents die, the king assigns her progressive cousin, Count Cuyorgy Thurzo, responsibility for her education and upbringing. However, she is impregnated by a peasant, and the King removes Elizabeth from Thurzo’s care and marries her to the brutal soldier Count Ferenc Nadasdy, with instructions for Nadasdy to train her in the appropriate behavior of Hungarian nobility. Appropriate behavior, in this case, includes exercising draconian discipline over the serfs belonging to the estates under her control. At the end of the play, Elizabeth is convicted and walled up in a room in her castle to live out the final years of her life.